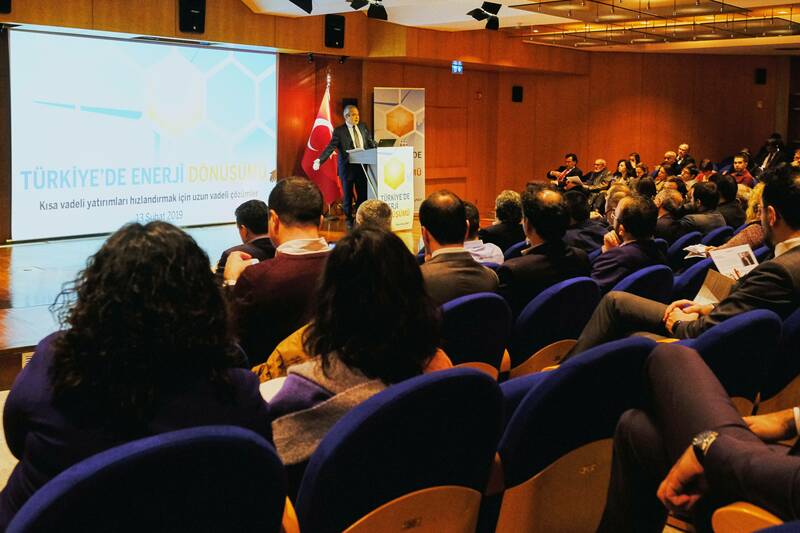 SHURA Energy Transition Center and BloombergNEF are jointly organised “Long-term Prospects for Accelerating Short-term Investment in Turkey’s Energy Transition” event to discuss the long-term potential of renewables and what planning for this could mean against the current progress and market situation for energy transition in Turkey. Turkey is moving rapidly toward its renewable energy and energy efficiency targets set for 2023. It has already surpassed its renewable energy share target of 30% as well as the installed capacity targets of 5 GW solar PV and 1 GW geothermal. Another 7 GW of onshore wind has also been installed, and in the first three quarters of 2018 alone Turkey has attracted US$1.5 billion in new investment in clean energy, according to BloombergNEF. With continuing growth in power demand and rich wind and solar resources across the country, Turkey has the potential to go well beyond these targets, creating significant investment opportunities. The renewable energy grid integration study of SHURA shows that Turkey can cost-effectively supply half of its total electricity demand from renewables by 2026, with most of that coming from wind and solar energy. To enable this several strategies will be essential as a recently released study of SHURA that reviews the energy transition experiences of 10 countries from across the world. These are: long-term planning, enhancing the regulatory framework, and implementation of grid integration strategies including innovative finance and business models. As the country success stories highlight, it will be crucial for Turkey to step up its energy transition planning beyond 2023 – centenary of the Republic. BloombergNEF has published its “Turkey Long-Term Power Market Outlook” as part of its economics-based outlook to 2050. This new report shows that substantial electricity demand growth and declining renewables costs will help Turkey transform its capacity mix. Renewables account for 68% of the total installed electricity capacity by 2050, compared with more than half the country’s capacity being fired by fossil fuels in 2017.